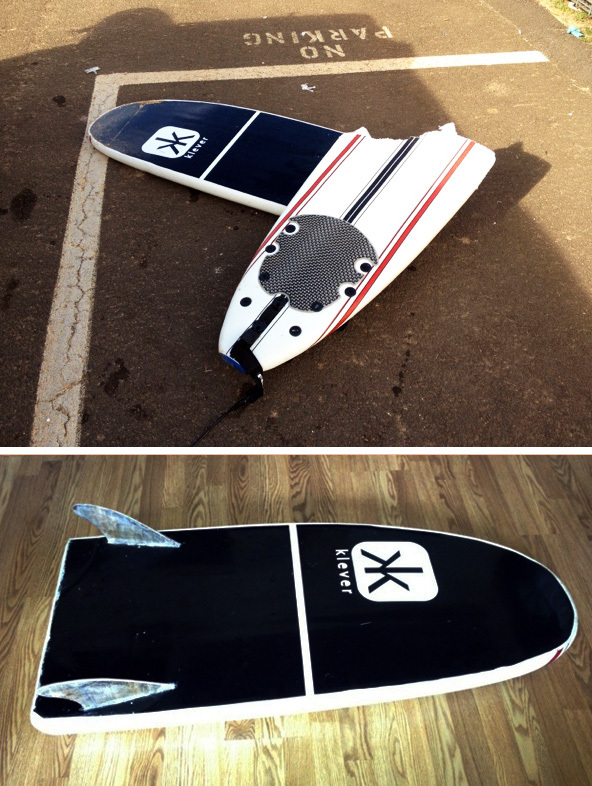 It appears the Wavestorm Surfboards from Costco break quite easily - 2 fins and the dead sled is back! How did you seal the back? Did it take on water? How does it ride? I want to do this to my wavestorm.